In its continuing quest to better inform citizens of the possibilities and limits of the European human rights protection system, the Court has launched yet a new tool: a short youtube movie which in about three minutes - and with the generous support of the Principality of Monaco, not the state that causes the Court the biggest caseload troubles! - shows what the main admissibility criteria are. Another creative tool! For the French version, see here. Today, at the opening of the judicial year in Strasbourg, the Annual Report and an overview of facts and figures for 2011 were presented. This includes a table of violations (by country). It reveals that the top five of countries against which judgments were issued are: Turkey (174 judgments), Russia (133), Ukraine (105), Greece (73) and Romania (68). If there would not only be credit ratings for countries, but also judicial ratings, these numbers would be a good starting point, especially considering that most of the violations found relate to unfair trials, overly lengthy judicial proceedings and lack of effective remedies (Articles 6 and 13 ECHR). Chamber. 1,860 applications were declared inadmissible or struck out of the list by Chambers. during the year, a slight increase when compared with the figure of 32.5% from the previous year. As to the rest, 736 judgments concerned so-called “repetitive” cases with a low level of importance (level 3). The majority of decisions published in 2011 in the Court’s case-law database concerned so-called “repetitive” cases. Human rights, the rule of law and justice seem to be slipping down the political agenda in the current economic climate. It is in times like these that we must remember that human rights are not a luxury and that the burden of their protection must be a shared one. We must continue to ensure that the Court remains strong, independent and courageous in its defence of the European Convention on Human Rights. But, of equal importance is the fact that the Court should be able to assume the supervisory role for which it was designed. This it can only do with the help of the 47 European governments which have ratified the Convention. Its independence and authority should not be undermined and that criticism by governments, even where legitimate, should rely on reasoned argument rather than emotion and exaggeration. See also the reporting in the Guardian in the overview article 'European Court of Human Rights: which countries get the most judgments?'. And we are hoping to get consensus on strengthening subsidiarity – the principle that where possible, final decisions should be made nationally. It is of course correct that the Court should hold governments to account when they fail to protect human rights. In these instances it is right for the Court to intervene. The whole speech comes across as a mixture of praise and warnings, the latter ones all too familiar to anyone who has been following the debates in the United Kingdom on the Court. 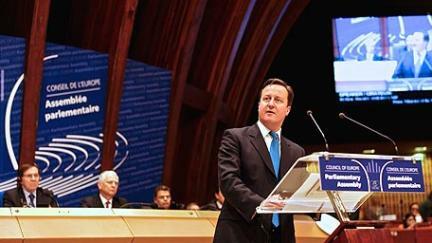 Concrete proposals for new reforms will follow in the course of the UK Chairmanship. The criticism relating to interference is simply not borne out by the facts. 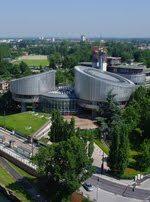 The Strasbourg Court has been particularly respectful of decisions emanating from courts in the UK since the coming into effect of the Human Rights Act, and this because of the very high quality of those judgments. To take 2011 as the most recent example: of the 955 applications against the UK decided, the Court found a violation of the Convention in just eight cases. For more press coverage, see here (BBC) and here (The Guardian). These also refer to opposition and NGO reactions to Cameron's speech. 1. The Parliamentary Assembly pays tribute to the extraordinary contribution that the European Court of Human Rights (“the Court”) has made to the protection of human rights in Europe. In so doing, it recognises the subsidiary nature of the supervisory mechanism established by the European Convention on Human Rights (ETS No. 5, “the Convention”), notably the fundamental role which national authorities, namely governments, courts and parliaments, must play in guaranteeing and protecting human rights. 2. The Assembly reiterates that the right of individual application, which lies at the heart of the Convention machinery, has to be preserved in essence, and that the Court must be in a position to dispose of applications within a reasonable time, while maintaining the quality and authority of its judgments. It follows that priority must be given to difficulties encountered in states which do not appropriately implement Convention standards. Therefore, the Court should be encouraged to continue to prioritise cases in line with its recently adopted policy. 3. From this, it transpires that, in order to ensure the long-term effectiveness of the Convention system, there is a need to strengthen and enhance the authority of Convention rights at the national level (including the res interpretata authority of the Court’s case law), to improve the effectiveness of domestic remedies in states with major structural problems, and to ensure rapid and effective implementation of the judgments of the Court. National parliaments can play a key role in stemming the flood of applications submerging the Court by, for instance, carefully examining whether (draft) legislation is compatible with Convention requirements and by ensuring that states promptly and fully comply with the Court’s judgments. 4. 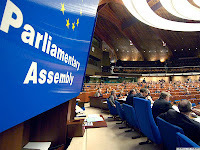 In this connection, the Assembly reiterates its call for parliaments to establish appropriate internal structures to ensure rigorous and regular monitoring of states' compliance with international human rights obligations (Resolution 1823 (2011) “National parliaments: guarantors of human rights in Europe”) and, in particular, effective parliamentary oversight of the implementation of the Court’s judgments (Resolution 1516 (2006) on the implementation of judgments of the European Court of Human Rights, paragraph 22.1). 5. As the post-Interlaken debate on the future of the Convention system does not sufficiently take into account the role of parliaments (Resolution 1823 (2011), paragraph 5.2), the Assembly, as well as national parliaments, must ensure that they are provided with an opportunity to scrutinise reports which member states have been required to submit to the Committee of Ministers on national implementation of relevant parts of the Interlaken and Izmir Declarations. 6. Finally, the authority and effectiveness of the Convention system are contingent on the political will and commitment of member states to provide the Organisation with the appropriate financial means to implement its human rights mandate. 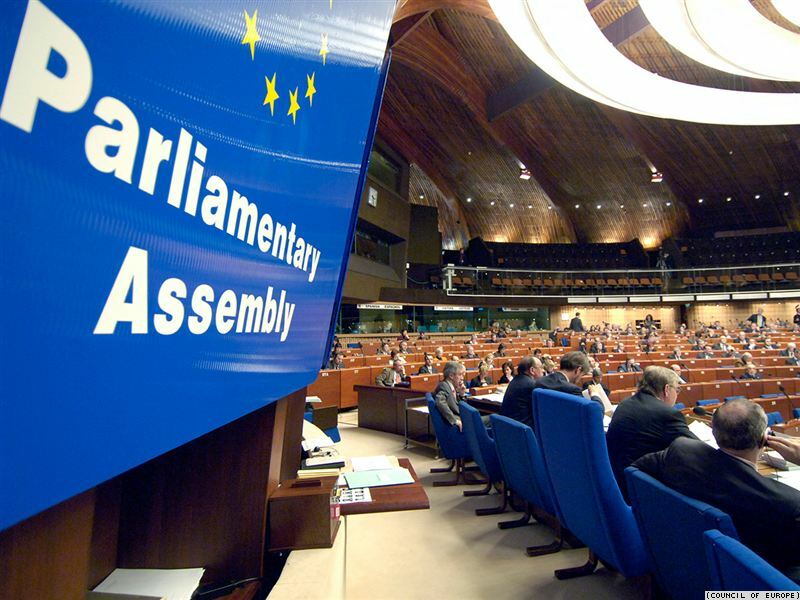 The difficult budgetary predicament in which the Council of Europe finds itself must be given urgent attention in member states, especially the legislative branches of state authority, given the latter’s decisive role in the determination of state budgetary appropriations. 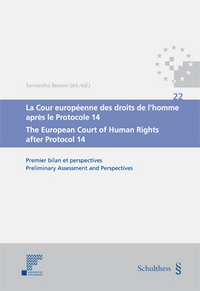 The book provides detailed analysis of the European Court of Human Rights’ case-law on each of these themes. This report resulted from an invitation received on April 1, 2011 from the Presidential Council of the Russian Federation for the Development of Civil Society and Human Rights "to participate in an independent public expert analysis of official documents and proceedings in the recent criminal case concerning M.B. Khodorkovsky and P.L. Lebedev, who were convicted by a judgment announced on December 27, 2010." The report was submitted to the Council on October 1, 2011. It was the only report submitted from the United States, the other reports having been sought and received from scholars in Russia, Germany, and the Netherlands. On December 21, 2011, the Council released this report in Russian along with the reports of the other scholars. On the basis of these reports, the Council recommended that legal proceedings begin to annul the convictions. This report evaluates the verdict in the case for compliance with Russia's obligations under the European Convention on Human Rights. The report concludes that the verdict in this case reveals violations of the defendants' human rights protected under Articles 3, 6 and 7 of the Convention and that other Convention rights also may have been violated. ◦Marco Gestri, Access to a Court and Jurisdictional Immunities of States: What Scope for the Balancing of Interests Test? * Ways of addressing the present and likely future demands made on the Court, including building on the reforms introduced in recent years, strengthening national implementation of the Convention, in particular the execution of judgments, and how best to drive forward the urgent need for reform, reaching a balance between incoming cases and judgments, on a manageable level, and lower than that of today, in a reasonable time without weakening the human rights protection the Convention affords. The debate as to whether courts are too eager, or not eager enough, in holding that government regulations violate individuals’ fundamental rights has raged across decades and across jurisdictions. The underlying considerations are particularly acute when the courts concerned are supranational courts – and thus further removed than national judges from the societies affected by their judgments. The European Court of Human Rights has grappled with this issue by developing the concept of a margin of appreciation and thereby according to Contracting States an element of judgment in securing the rights enshrined in the Convention. The margin of appreciation has been central to the jurisprudence of the Court and is of major importance to the Contracting States. It has assumed even more significance as the Court through its case law has expanded Convention rights. This paper focuses on the use by the Court of the concept of a margin of appreciation and considers, in particular, whether the use of that concept provides a sufficient safeguard against what some people see as an overactive court which has interpreted the Convention in a manner that the original Contracting States could never have envisaged. * Sophie Briant, Dialogue, diplomacy and defiance: prisoners' voting rights at home and in Strasbourg. * Baroness Hale, Common Law and Convention Law: The Limits to Interpretation. * David Mead, "Don't make us get a warrant... we only want a quick look in your husband's shed": The Article 8 Issues Raised by the Domestic Legal Framework on Police Entries and Searches by Consent. * Max Schaefer, Al-Skeini and the Elusive Parameters of Extraterritorial Jurisdiction. The latter issue also includes an article by the Court's president Sir Nicholas Bratza, noted here earlier. The ever-expanding blogosphere, specifically the one on human rights, has a new offshoot: Etpcz Blog, a blog on the European Convention on Human Rights in Polish. The blog was created two months ago by Robert Rybski of Warsaw University. Its aim is to cover Polish aspects of the ECHR for a Polish audience and in doing so making the Court's case-law more accessible to Polish practioners. Congratulations, Robert, and keep up the good work! At the start of the new year a very wide range of articles and publications on the European Convention and the European Court (see the overview below). 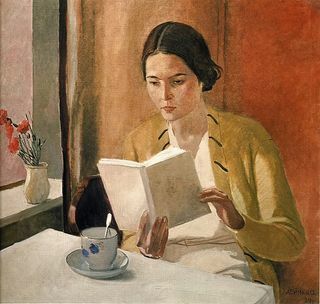 A very good year to all readers! * Yonatan Lupu and Erik Voeten, 'Precedent in International Courts: A Network Analysis of Case Citations by the European Court of Human Rights', British Journal of Political Science (December 2011). Why and how do international courts justify decisions with citations to their own case law? We argue that, like domestic review courts, international courts use precedent at least in part to convince ‘lower’ (domestic) courts of the legitimacy of judgements. Several empirical observations are consistent with this view, which are examined through a network analysis of European Court of Human Rights (ECtHR) citations. First, the Court cites precedent based on the legal issues in the case, not the country of origin. Second, the Court is more careful to embed judgements in its existing case law when the expected value of persuading domestic judges is highest. These findings contribute to a developing literature that suggests international and domestic review courts develop their authority in similar ways. 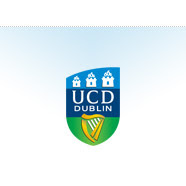 * Maria Zhurnalova-Juppunov, 'Religious Displays at Public Schools – Courts, Crucifixes and Masters of Identities', Maastricht Journal of European and Comparative Law, Volume 18. * Paul Johnson, 'Heteronormativity and the European Court of Human Rights', Law and Critique (January 2012). After many years of uncertainty, Protocol 14 to the European Convention on Human Rights finally entered into force on 1st June, 2010. 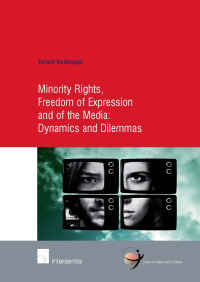 It brings about some important and well-known amendments to the European Court of Human Rights’ functioning. Those reforms should help the Court deal with some of the serious difficulties and backlog it has been facing to date. The Protocol also generates its own set of new difficulties, however, as many procedural and substantive issues were not settled by the updated version of the Rules of court and will have to be addressed in practice. Moreover, as foreseen by certain specialists, many other fundamental reforms are needed to make the Court more effective and a Protocol 15 is allegedly already under consideration. The present publication has two aims. It aims, first of all, at developing a general assessment of the main improvements to the Court’s functioning one year after the entry into force of the Protocol, but also at identifying some issues where further reforms are needed. A second aim is to examine the Declaration and Action Plan that was adopted on 19th February, 2010 at the Interlaken Conference on the Future of the European Court of Human Rights and under the Swiss Chairmanship of the Council of Europe. Different measures listed in the Action Plan are discussed and suggestions made as to how to best implement them.